Digestion. Because raw dog food is less processed, it is often easier for your dog to digest. Easier digestion will keep your dog healthier and happier. Fewer allergies. Some of the ingredients that go into processed dog food are not natural for your dog to eat, which can lead to allergies and other health problems for your dog. Healthier skin, teeth, and coat. Each of these benefits are the result of a healthy diet. When using raw dog food regularly, you will likely see a noticeable improvement in your dog’s teeth, skin, and coat. Increased energy. A poor diet can sometimes lead to your dog feeling tired and lethargic. 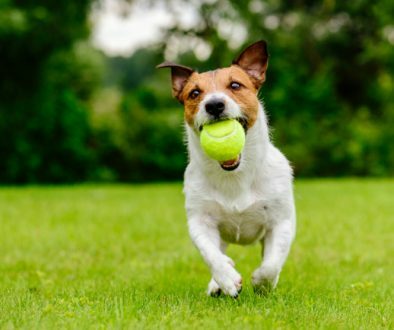 One benefit many homeowners see when using raw dog food is better energy. A diet with less processed foods and better ingredients, such as those found in quality raw dog food brands, can provide your dog with greater, longer-lasting energy. If you are interested in using raw dog food for your pet, feel free to call or come visit our team at Animush Raw Pet Food for more information. We can help you get the best food option that will keep your dog as healthy and happy as possible!